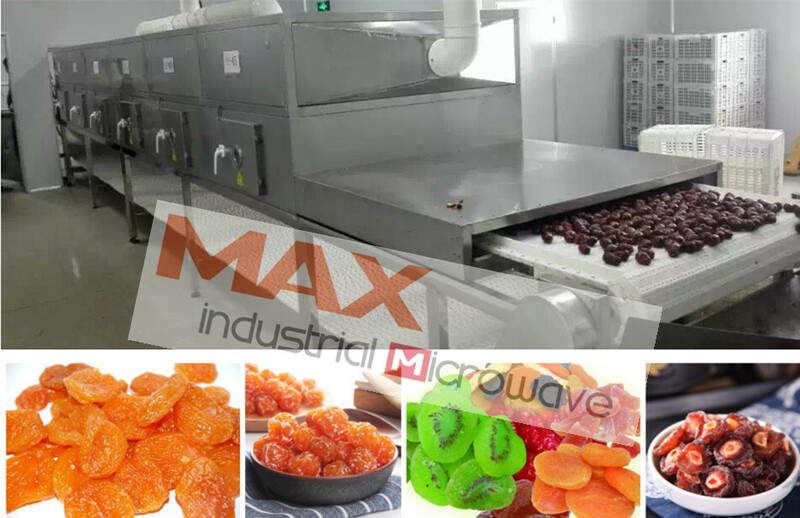 Microwave sterilization solution suiting for dried apricot, persimmon, date，date palm and other dried fruit. Microwave tunnel oven not only can kill larvae and eggs but also can reduce the microorganism. The whole processing time only takes 3~5 minutes without producing any polluted air, water and unexpected material. On the other hand, we need properly control the microwave sterilization power because high power could easily over-heat the dried fruit result in color change and puffed. Therefore, we install the temperature controller and sensor in order to assist operator easily control the processing power and temperature. For you dried fruit and nuts, or package food production sterilization , you could consult with us.